Promo-X is a branding business, embroidery, screen printing or heat pressing clothing and professional gifts with your logo or design. We have worked hard too make sure all our customers are 100% happy with our product we produce. Our customers come to us for our on time friendly service. 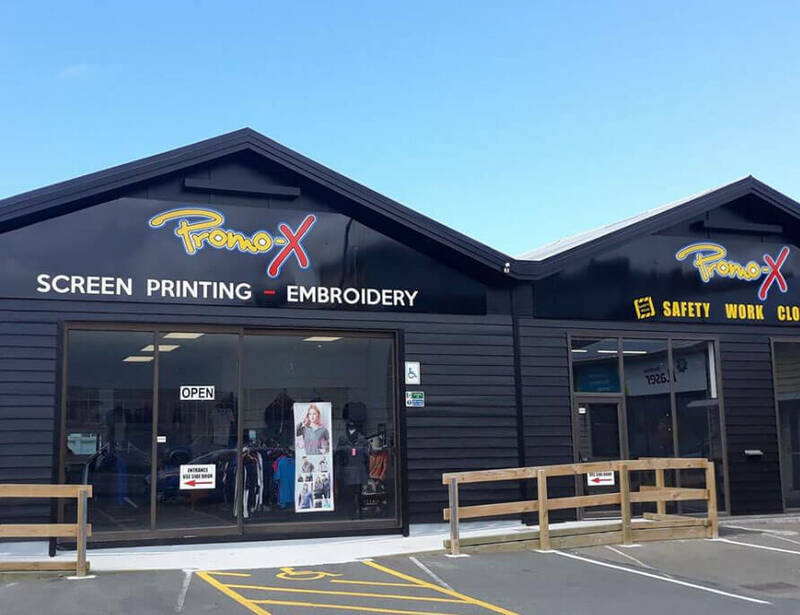 We are a locally own business at 257 Hillside Road, Dunedin, supplying clothing for the office, road safety, sports club and sports field. We have a wide range of fashion caps that can be made to order and design. We are able to design and provide any clothing or sublimated sport top. From our Catalogue links you can search what we can provide and if you can’t find something email us for help, we are more than happy to search for ideas for you. Feel free to email us any time and we will get back to you as soon as possible.